Grand Piano is a psychological thriller about a young man, Tom, who is known as the most talented pianist of his generation. However, he has not publically performed in years due to a disastrous performance which left him with stage fright. Finally years later, for his wife, an award winning actress, he agrees to resurface to play for a packed house in a Chicago theater. As the concert begins, Tom finds a threatening message written on his score... one wrong note and he will die. This will be the most important performance of his life! 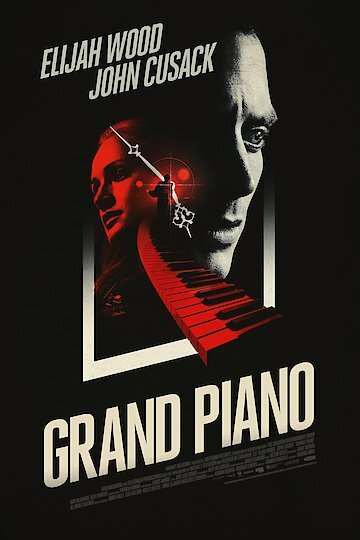 Grand Piano is currently available to watch free on Tubi TV, YouTube and stream, download, buy on demand at Amazon Prime, Shudder, Monsters and Nightmares, FlixFling VOD, Amazon, Vudu, Google Play, iTunes, YouTube VOD online.